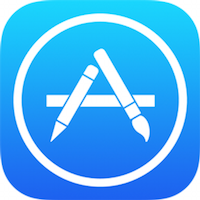 Apple today announced that it is increasing the maximum app size from 2GB to 4GB, letting developers release apps that are up to 4GB in size. The extended limits will likely be useful for high-quality game titles that need the extra space to introduce improved graphical effects or longer playtimes. Apple's 2GB size limit has been in place since the App Store first launched, so today's new 4GB limit marks the first-ever size increase. The 2GB size limitation has prevented some games from being available on the App Store, such as Final Fantasy VII. In 2013, Square Enix producer Takashi Tokita said that a version of Final Fantasy VII was "years away" due to the 2GB iOS app size limit. Over the last several years, as iPhone and iPad displays have improved in quality, developers have needed to increase the size of app assets to create content suitable for Retina screens. The new 4GB limit will give developers more freedom when it comes to content creation and it also paves the way for higher-resolution displays that may require even larger apps. Though the maximum app size has increased to 4GB, Apple is still enforcing the 100MB over-the-air download limit introduced in 2013. In other rumors, they're bringing back the 8GB iPhone!! We're getting to the point where there really should be a switch to override cellular restrictions. I have a 20GB data plan. Sometimes I want to do bandwidth heavy things on cellular! Hell, sometimes my cellular connection is FASTER than the available Wifi. If I go over and have to pay overages, it's my fault, not Apple's. Give us an override switch! They really need to stop being so stingy with iPhone storage and how much it costs us. 3 games on a 16gb and you're done! Now get rid of 16gig base models and start at 64. Anything that brings us closer to Final Fantasy VII on iOS has to be a good thing. 32bit is limited in addressable memory to 2G. So I'd say that this is Apple starting to show the benefits of 64bit. No, it's not. This is the maximum size of an app PACKAGE. That includes all media that comes with the app. It has nothing to do with the maximum address space size of a running process, which can still be way under 2GB while the package size is > 2GB. Don't worry, people who bought 16gb version of iPhone aren't exactly the video game freaks.